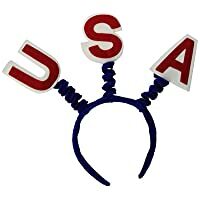 Beistle 60586 USA Boppers. Felt red "U" "S" "A" letters on a white background are attached to a blue fabric-covered headband. One size fits most. 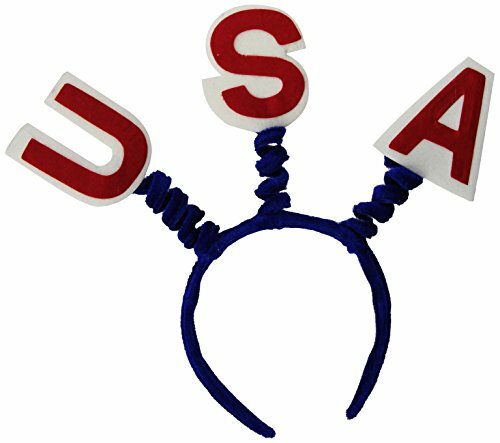 These USA boppers are a great accessory to have for any patriotic holiday!.